For persons who have never attended the club before, the first session is free. Get invited to play as a Member's guest. Contact the General Manager and ask to try out the club for one month for free. You will be asked to provide your contact information on our Stay in Touch subscription page. 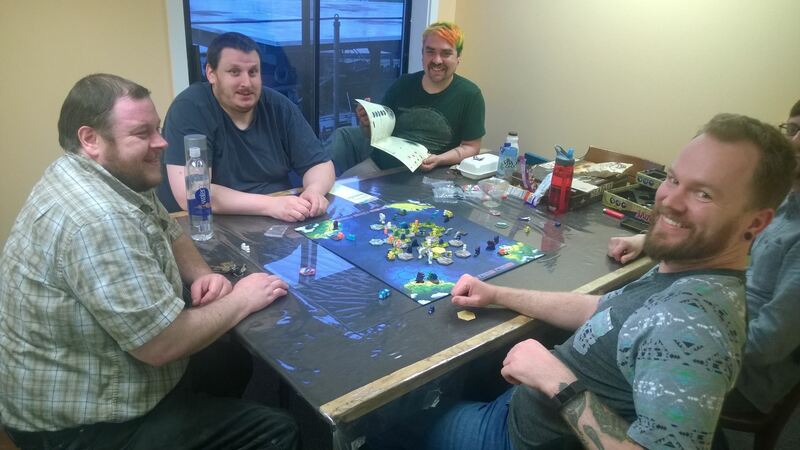 Attend an Open House/Open Gaming session at the club. Membership requirements and admission fees are waived for these sessions. See the Events Calendar to see when the next session is scheduled. Join Metro Seattle Gamers as a Member of the club. Associate, Key, and Group Host members of the club have voting privileges in club elections. Becoming a member of the club also means that one is a member of Dragonflight with the associated privileges in our parent organization. Some events on the Events Schedule may have fees associated with them. Sign up for the events on the schedule and pay the fee using this website. Members of the club do not normally pay these fees. Non-members of Dragonflight are required to join Dragonflight for the current calendar year (a $10.00 fee) before being allowed to pay this fee. Game scheduling and hosting privileges are reserved for billed Members of MSG. If one doesn't know when one will visit the club, one can still Stay in Touch.